Cody Johnson and numerous other A-list artists known as the Red Dirt Choir, have donated their time and talents to being this musical fundraising initiative to live. The new single, “Faith in the Water” will be available Friday, Nov. 3. Written by singer-songwriters Roger Creager and Kyle Hutton, the song paints a picture of the despair, hope, and determination on the faces of their friends and neighbors in the wake of Hurricane Harvey and accomplishes a feat possibly unmatched in Texas Music history. 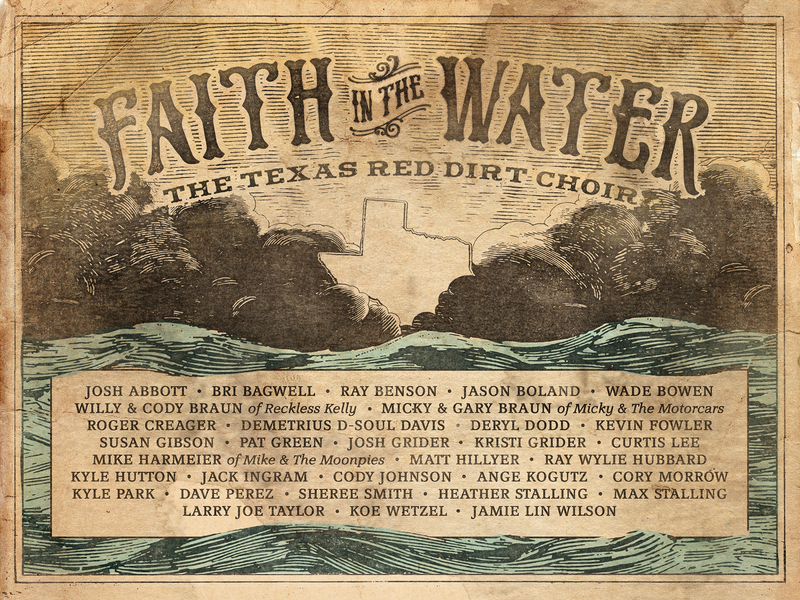 Twenty-five of the scenes most accomplished artists have joined their hearts and voices to form The Texas Red Dirt Choir in a quest to raise $1,000,000 for those affected by the $190 billion dollar storm. Read the full story here.